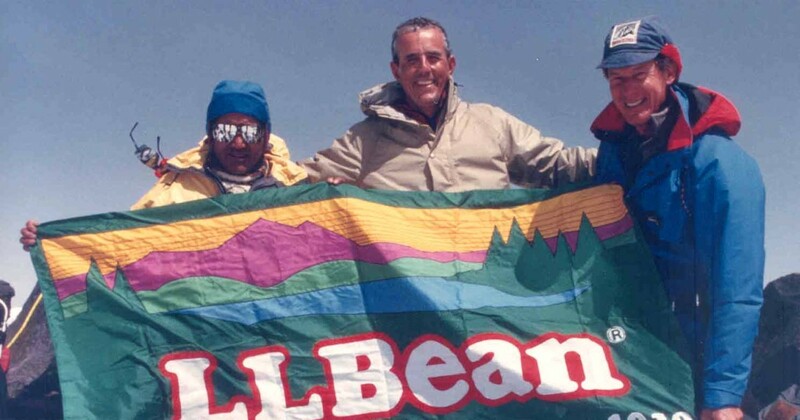 The story of L.L.Bean is ever evolving. But the outdoors has always been at the heart of it. 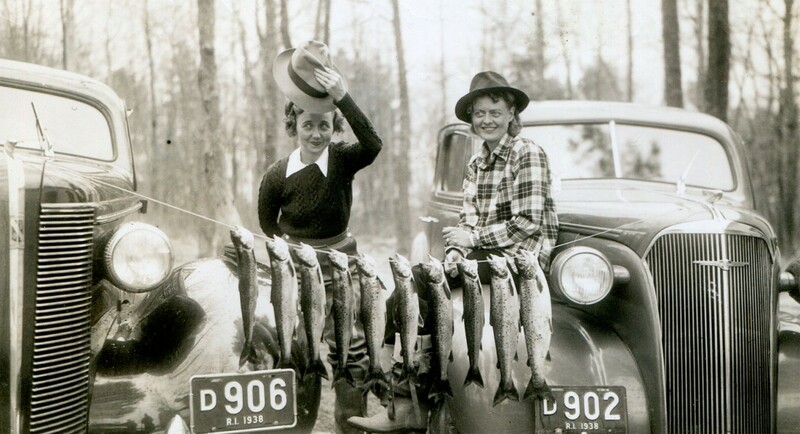 Explore over 100 years of L.L.Bean history in our timeline below. Leon Leonwood Bean invents the Maine Hunting Shoe. 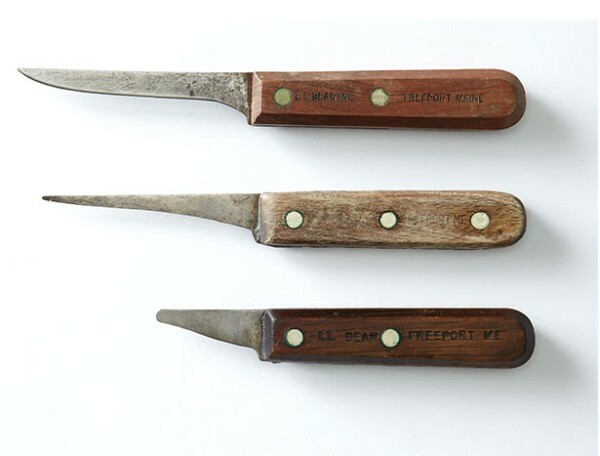 “L.L.” returned from a hunting trip with cold, damp feet and a revolutionary idea. 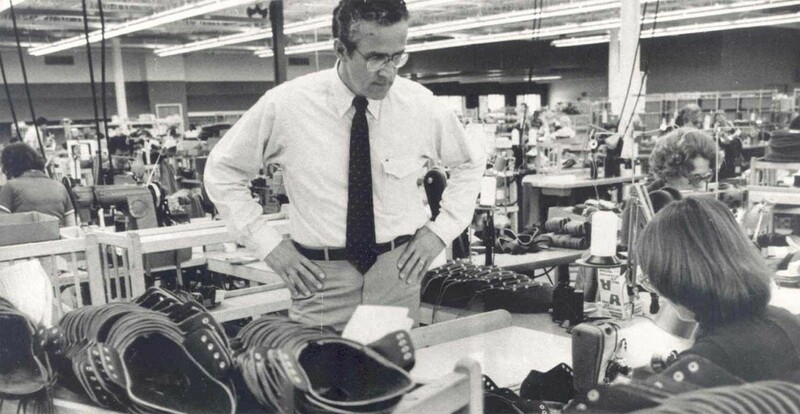 By combining leather uppers with rubber bottoms, he created an innovative boot that changed footwear forever. L.L. 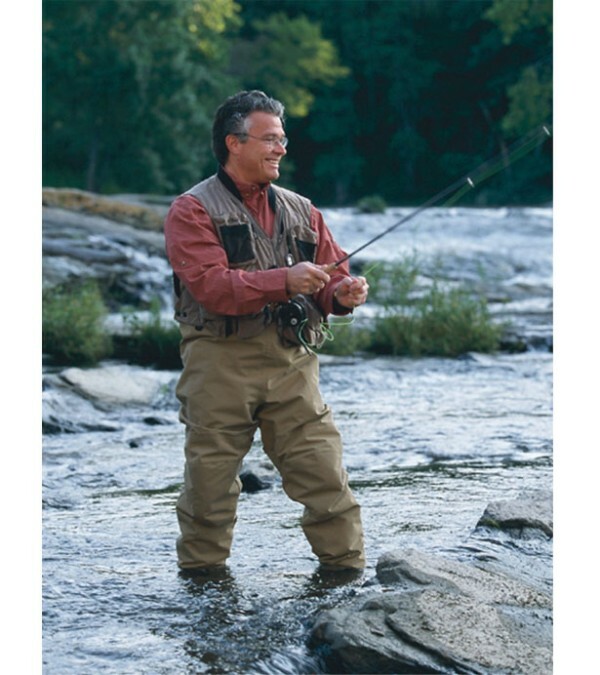 promotes his boot in a mailer to out-of-state sportsmen. But L.L. did not meet with immediate success. The bottoms and tops separated, and 90 of the first 100 pairs were returned. L.L. sent refunds, corrected the problem and sent more mailers. Admiral Donald MacMillan outfits Arctic expedition with L.L.Bean Boots. 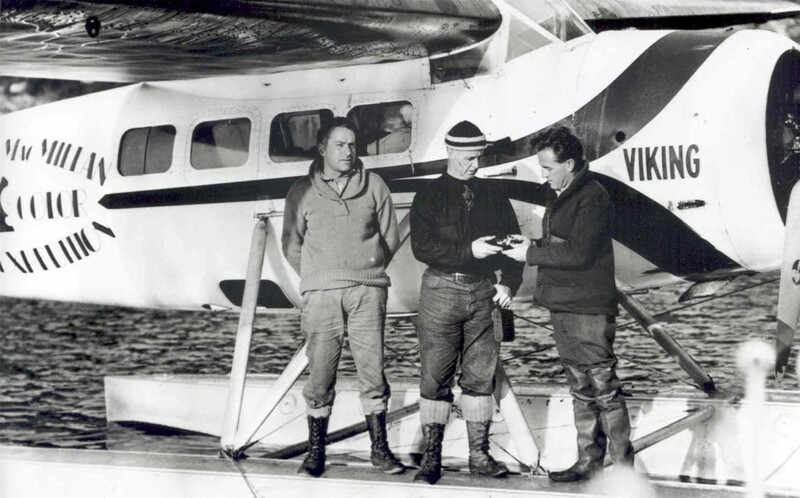 “My men are very enthusiastic over their experience with your foot equipment on our last Arctic Expedition, finding it extremely practical, especially for fall and spring work,” he wrote. L.L. introduces his iconic Field Coat. 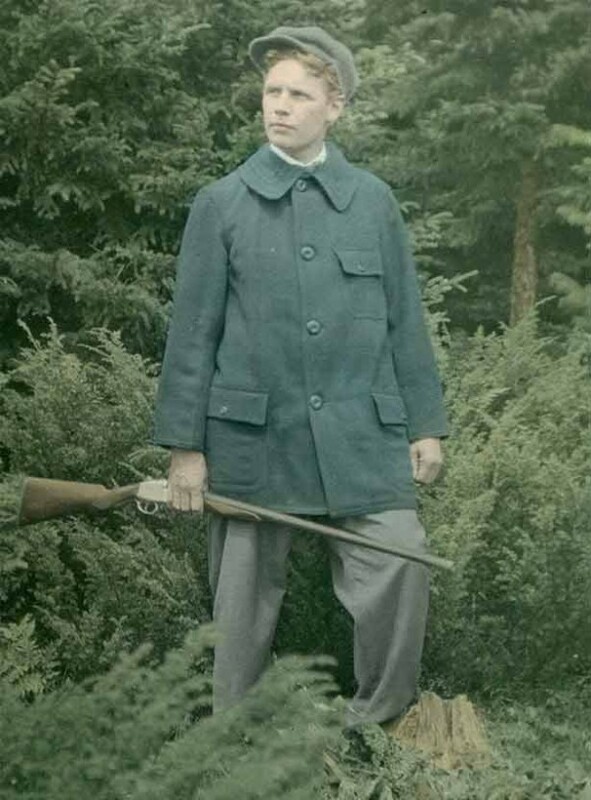 Originally called the Maine Duck Hunting Coat, it was an instant favorite with hunters. L.L.Bean catalog judged best in the country. 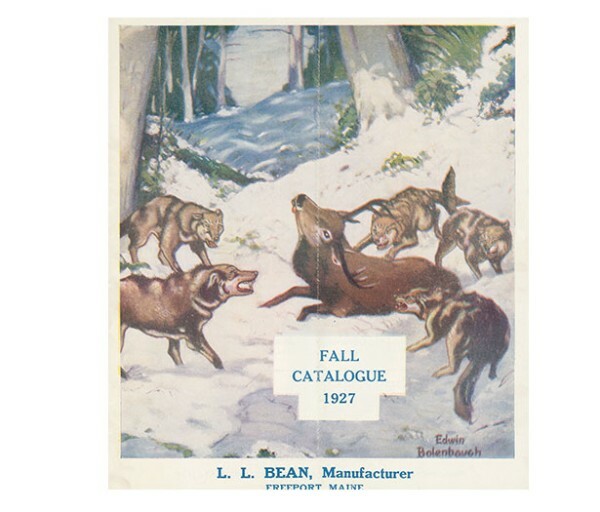 L.L.’s circulars evolved into a real catalog, judged #1 by Postage magazine. L.L. was awarded $25. Eleanor Roosevelt makes a surprise visit to the Freeport store. The First Lady proved a tough sell, resisting the impulse to buy fishing boots for her husband. But L.L. wouldn’t let her leave empty handed, presenting her with a trout knife for the president. 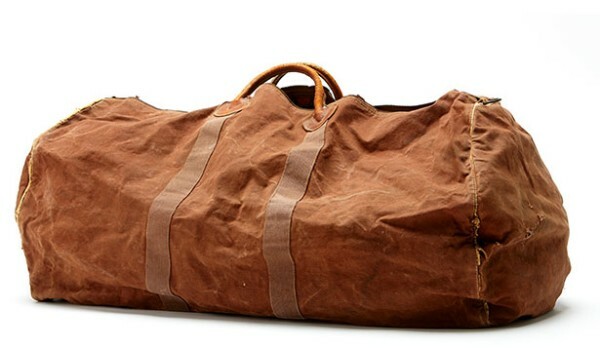 Featuring a breakthrough device called the “hookless fastener” (aka “zipper”), the duffle became an L.L.Bean mainstay. 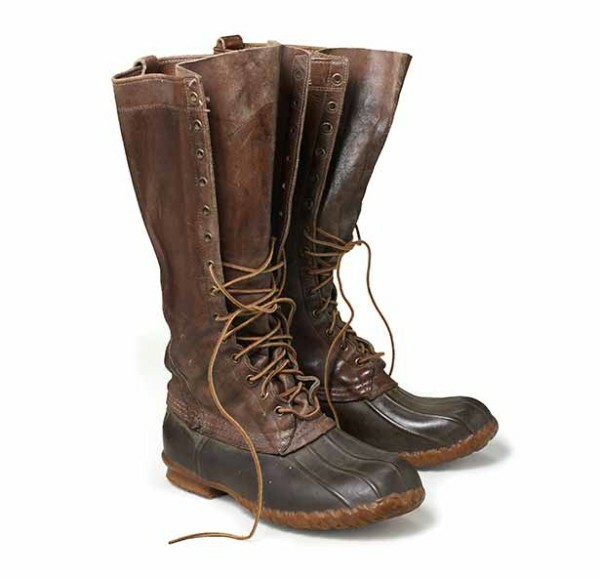 Despite the Depression, L.L.Bean sales top $1 million. L.L.Bean didn’t merely survive the Depression – it boomed. 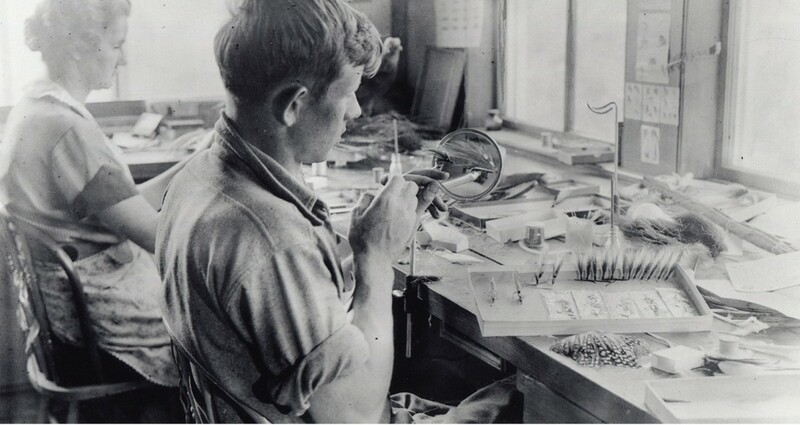 Durability had a lot to do with the company’s success, as did the advent of paid vacations and more time spent outdoors. 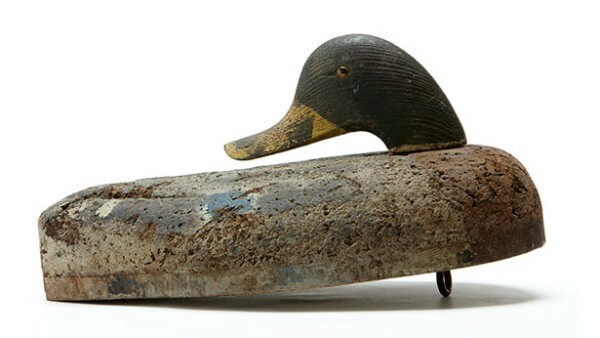 Duck decoys make their way into the catalog. 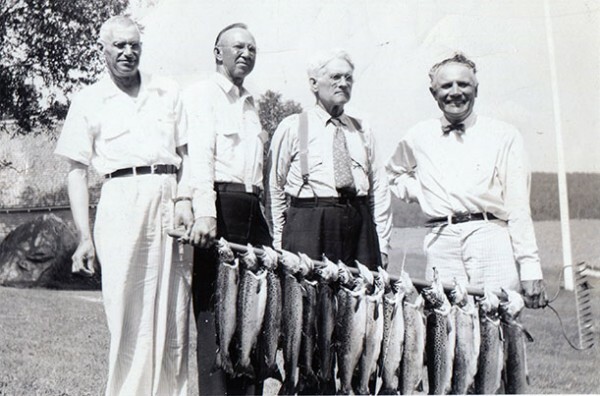 After claiming he “could whittle a better-looking bunch of decoys than that mess we’re using,” L.L.’s shipping clerk George Soule was tasked with the job. He went on to sell thousands a year. L.L. writes Hunting, Fishing and Camping. With a parade of customers seeking his advice on pursuing big game, waterfowl and fish, L.L. wrote a book to share his nearly 50 years of experience. The Ice Carrier (aka Boat and Tote) launches. 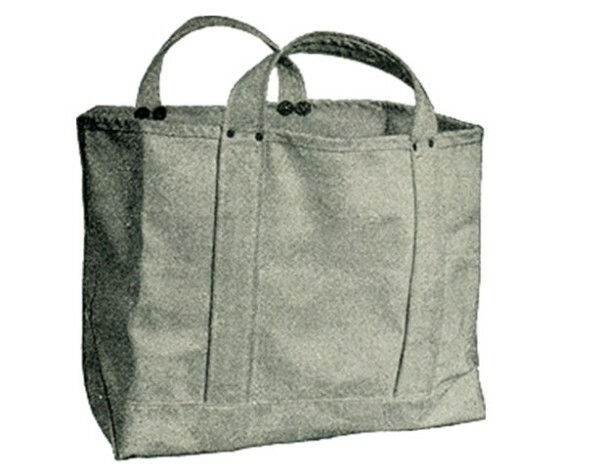 Originally designed to haul ice and wood, the tote’s simple yet timeless design earned it a place as a style icon. Still made here in Maine. Freeport store opens 24 hours a day. The women’s showroom opened after L.L.’s daughter-in-law, Hazel, and wife, Claire, convinced L.L. that women needed something to do while their husbands shopped for fishing tackle. 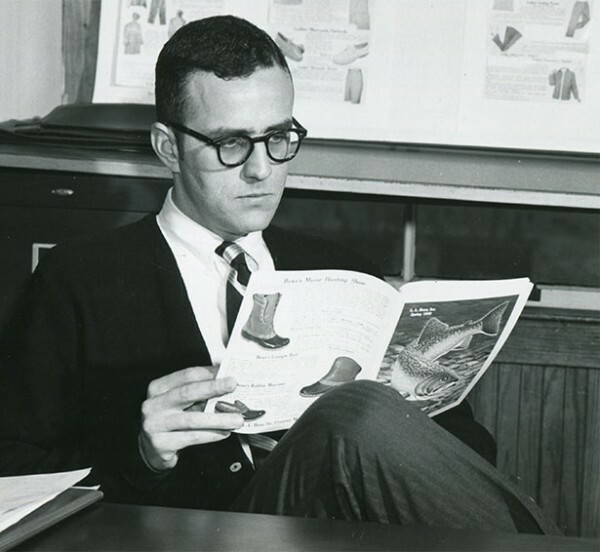 Leon Gorman, L.L.’s grandson and future L.L.Bean president, is hired. Leon Gorman was hired as a clothing buyer at $80 a week. But he was drawn to the salesroom, waiting on customers and learning everything he could. 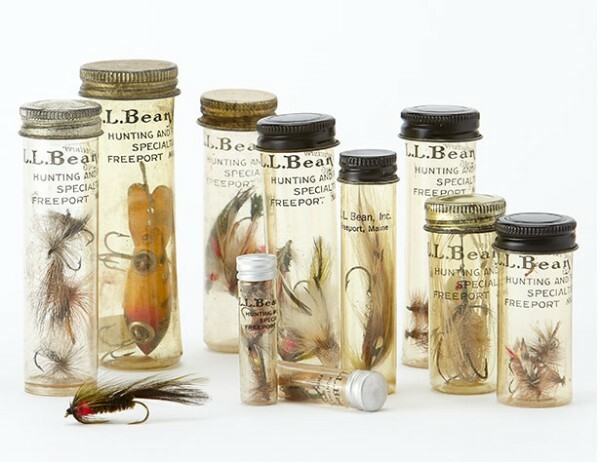 Hand-tied flies and a lure from L.L.Bean’s fishing department in the 1960s. 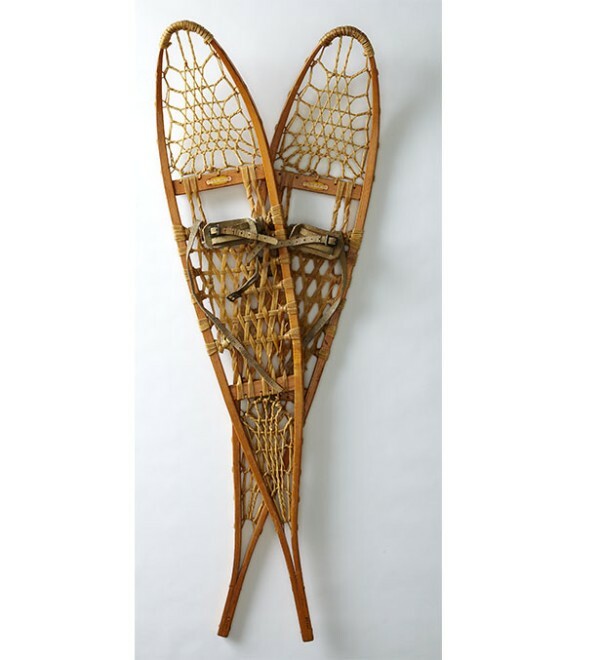 Vintage L.L.Bean snowshoes from the 1960s. The iconic Norwegian Sweater first appears. 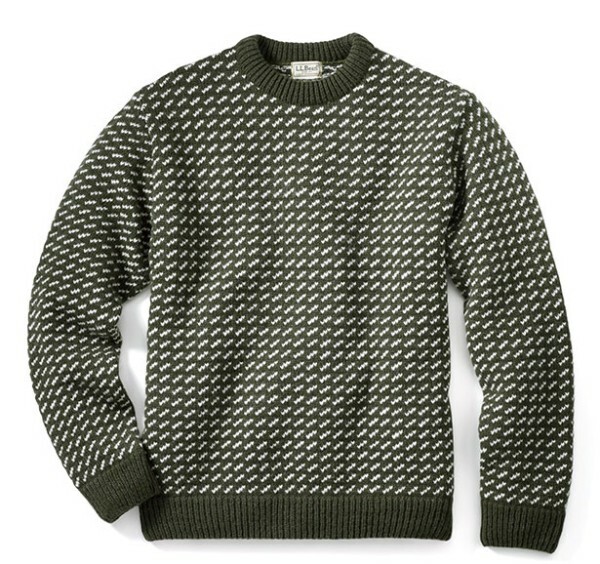 Inspired by the heavyweight sweaters “used by Norwegian fishermen who require unusual durability and warmth,” the sweaters developed an instant following. L.L. passes away at age 94. The company receives 50,000 condolence letters and the store closes in his memory. Leon Gorman becomes company president. 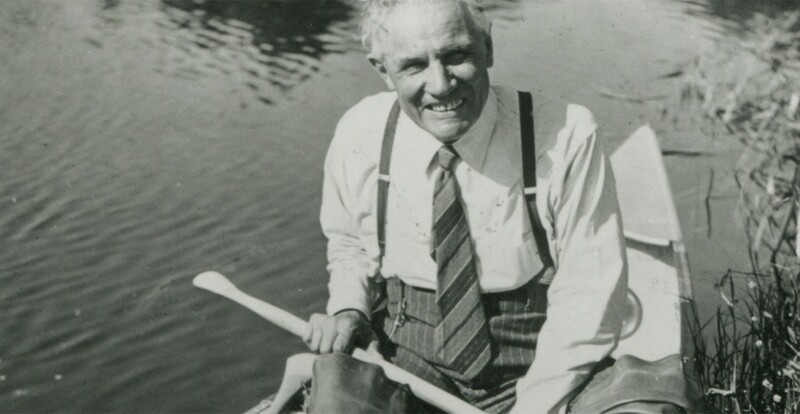 Following the death of L.L., Leon Gorman took over as L.L.Bean’s president, leading the company through rapid growth, expansion and modernization. The program began with a winter clinic in Freeport, Maine, and over the years has expanded to include dozens of activities and locations. Retail Store remodeled – complete with trout pond. A 25,000-square-foot addition provided more space to showcase the expanding assortment of outdoor gear. The centerpiece was an indoor pond stocked with Maine brook trout. “Sunrise over Katahdin” logo is revealed. After the company donated the land around Katahdin Lake to Baxter State Park in Maine, it introduced its Katahdin logo – symbolizing the beauty of the outdoors. 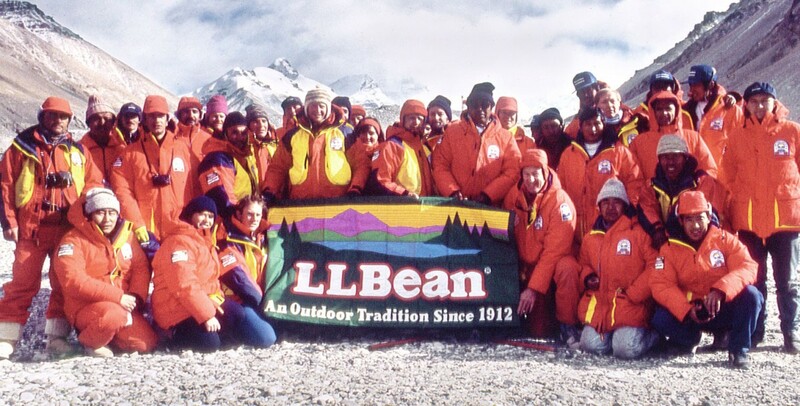 L.L.Bean sponsors and outfits the Everest Peace Climb. Featuring climbers from the US, China and Russia, the climb aimed to demonstrate that the world’s superpowers could work together to accomplish great things. 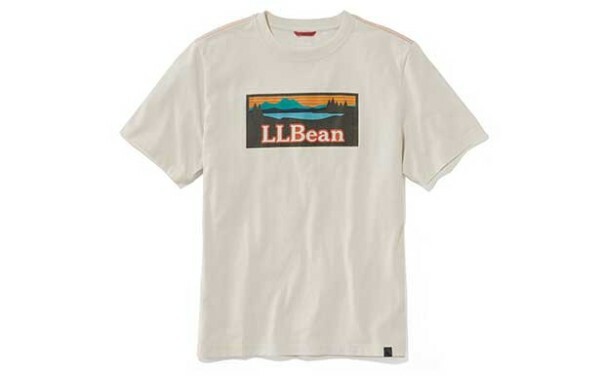 First L.L.Bean store opens in Japan. By the early 1990s, busloads of Japanese tourists were making the pilgrimage to Freeport daily. 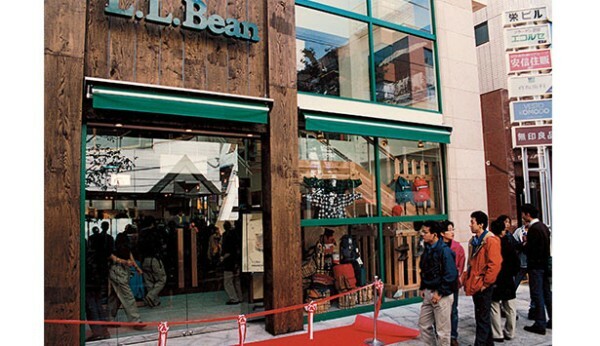 To serve this new market, L.L.Bean opened three retail stores in Tokyo. First US retail store outside of Maine opens. Located in McLean, Virginia, the 75,000-square-foot store had ample space to display most of the product assortment. Many smaller stores soon followed. Chris McCormick becomes the first nonfamily member to lead L.L.’s company. 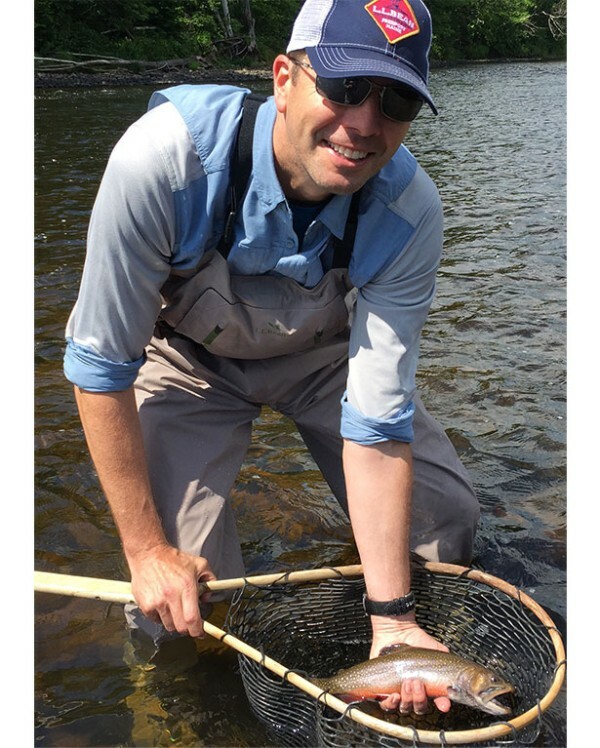 Chris is recognized for playing a key role in launching L.L.Bean’s international business, website and credit card program. 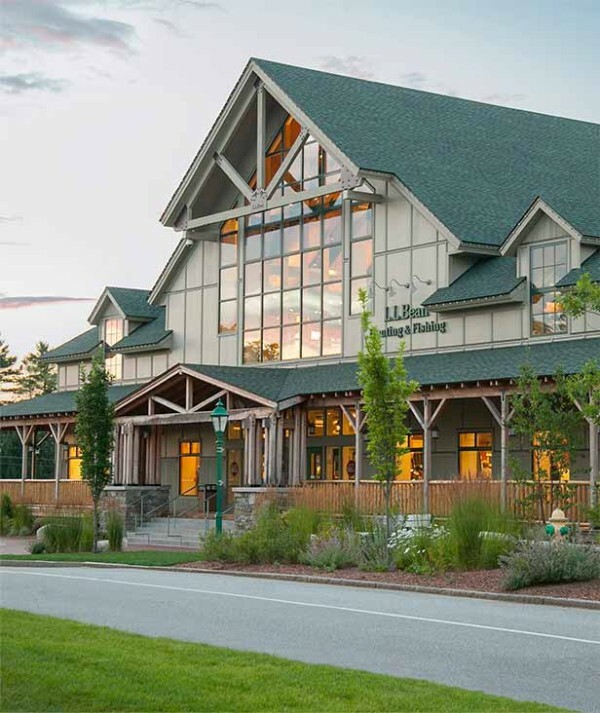 L.L.Bean commits to building all new structures according to LEED standards. 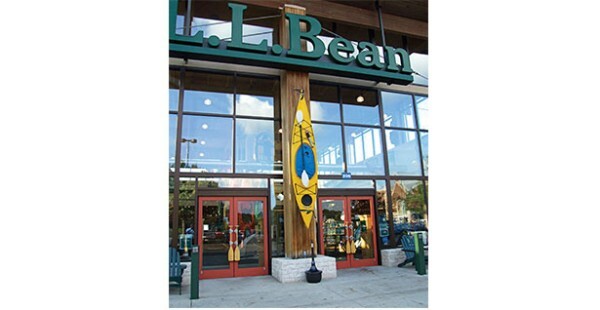 L.L.Bean formalized its commitment to environmentally sound building practices. As part of its 95th anniversary celebration, L.L.Bean donated this park to the town of Freeport. 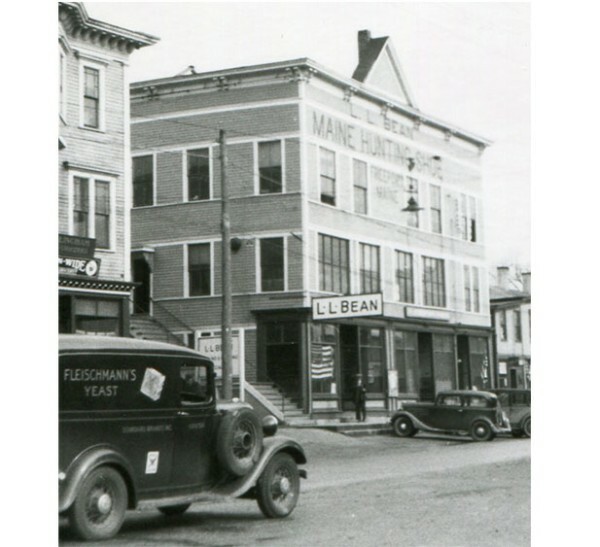 Town officials chose the name to honor Freeport’s long-standing relationship with Gorman and L.L.Bean. Leon Gorman receives the Bowdoin Prize Award. 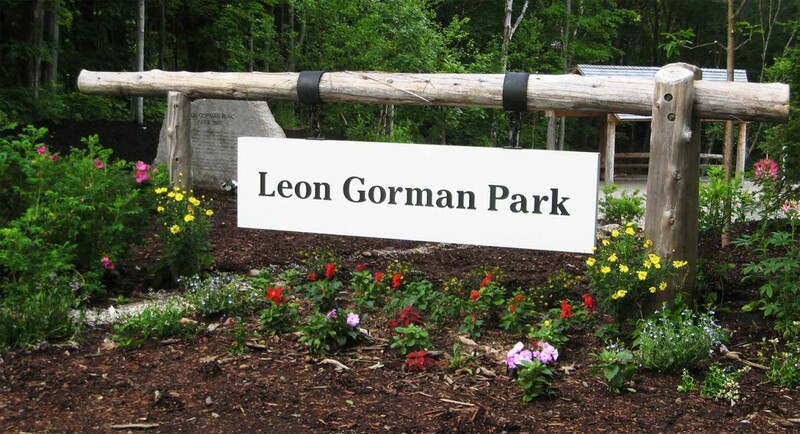 Bowdoin College’s highest honor, the award recognized Leon Gorman’s distinguished career as a business leader, conservationist and philanthropist. L.L.Bean celebrates 100 years – and rolls out the Bootmobile. 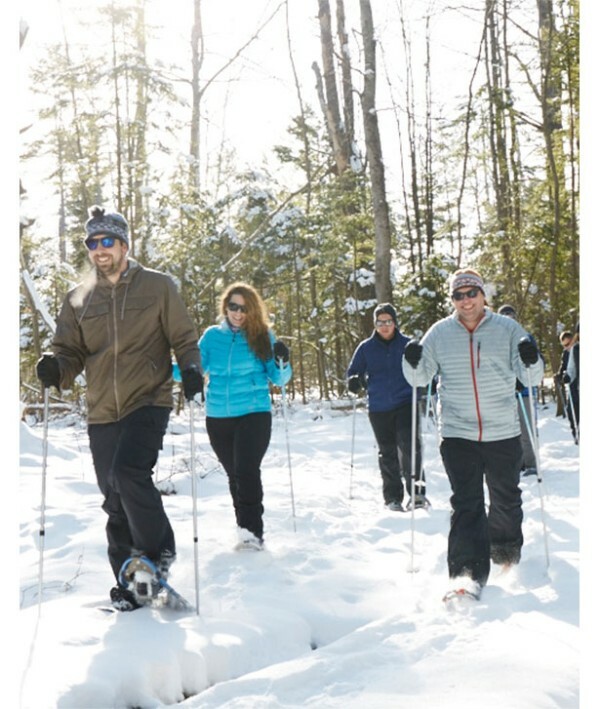 L.L.Bean made donations totaling $2.5 million, all in the spirit of enjoying the outdoors. 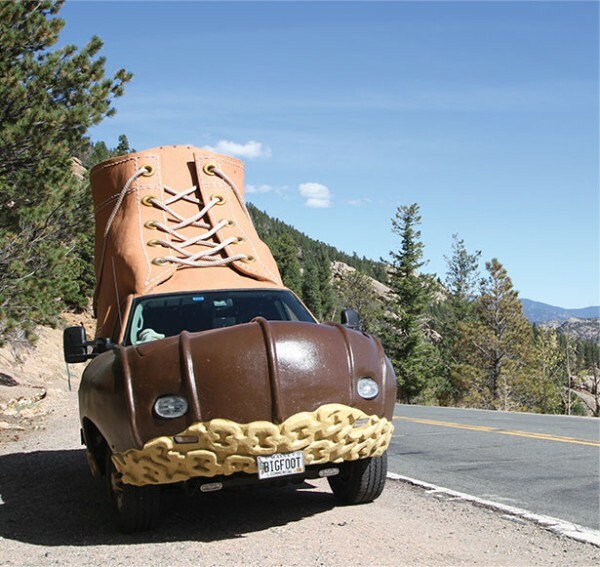 It also introduced the Bootmobile – a 20-foot-long replica of the L.L.Bean Boot, which travels the country. 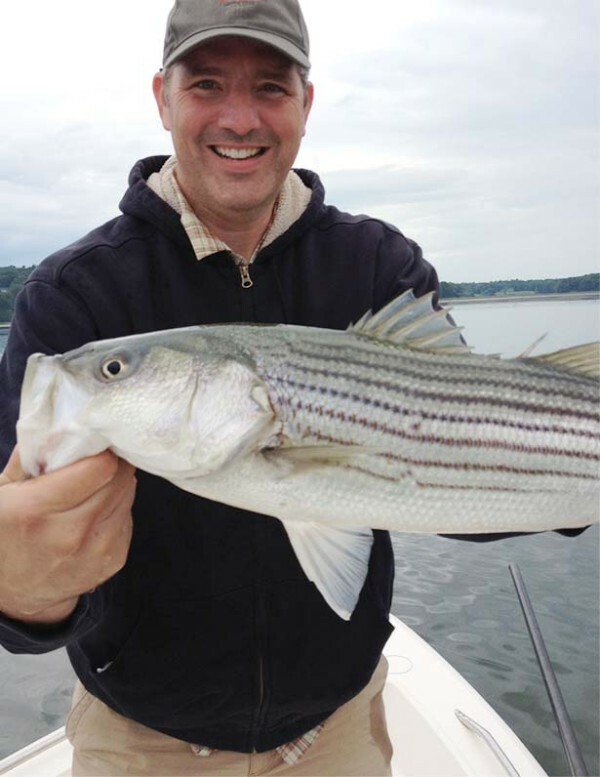 Shawn Gorman – great grandson of company founder L.L. 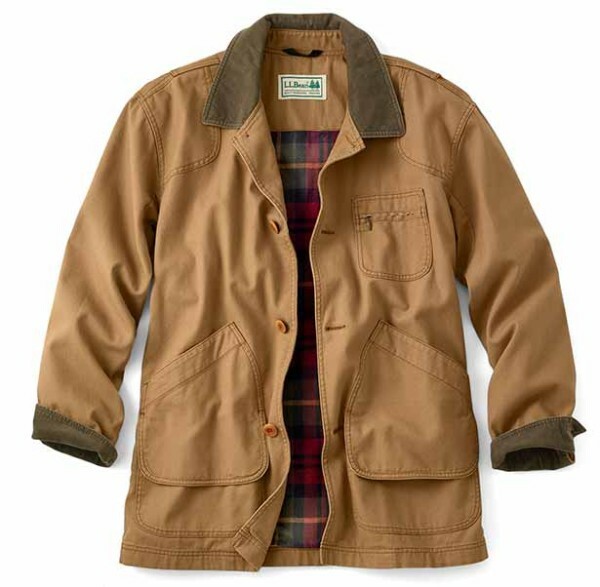 – replaced Leon Gorman as L.L.Bean’s Chairman of the Board. Leon was named Chairman Emeritus. In 2016 Shawn was named Executive Chairman. Leon Gorman passes away at the age of 80. Leon died on September 3, 2015. 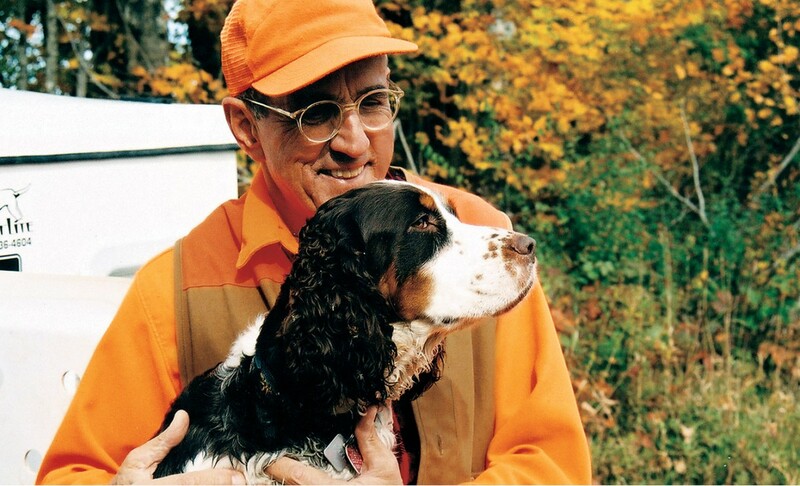 He is fondly remembered for his love of Maine, his extensive philanthropy and his remarkable leadership. Stephen Smith takes the helm. Upon Chris McCormick’s retirement, Stephen Smith was named the fourth President and CEO of L.L.Bean. Participation in L.L.Bean’s Outdoor Discovery Schools passes 150,000. 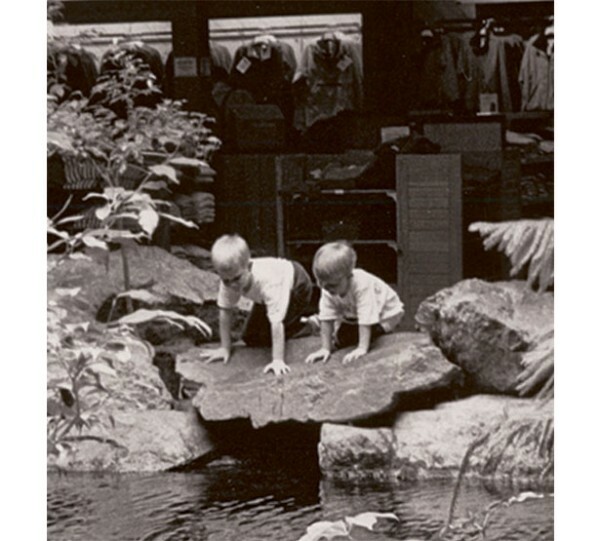 What began with a single clinic in 1979 has grown to include an activity for everyone – kayaking, stand-up paddleboarding, kids’ camps, adventure trips, fishing and much more. Launch of the “Be an Outsider” Campaign. Our new brand campaign celebrates our belief in the shared joy of the outdoors. Share your own experiences with #BeanOutsider – and be a part of the most inclusive club in the world.